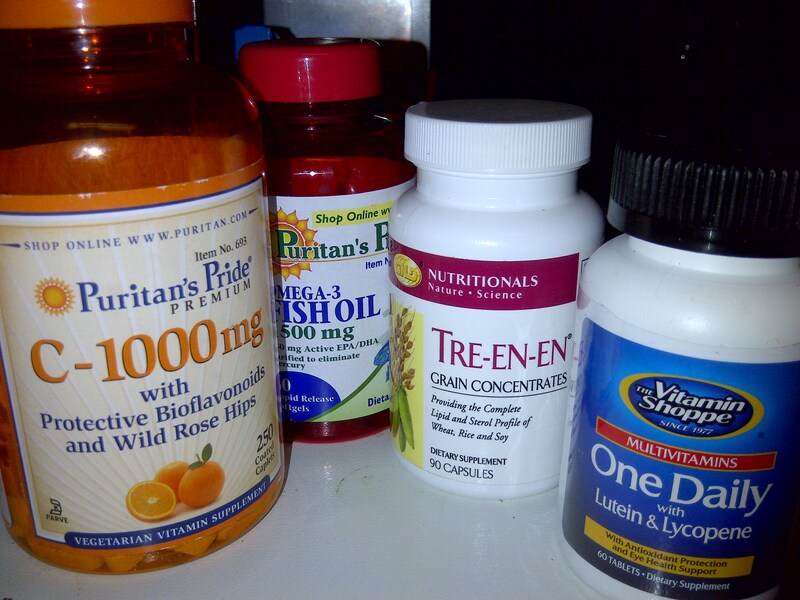 Multivitamin: While the vitamins and minerals you consume should be mostly from food, taking a multi cannot hurt you. Research shows that people who take a multi have better health overall. Omega-3 Supplements: Omega 3 can help reduce cholesterol, lower blood pressure, and manage heart disease. These are GOOD fats (DHA and EPA). Be sure to eat a variety of fruits and vegetables along with lean cuts of meat and whole grains (unless you have an allergy). Never restrict yourself from certain foods if it is not a life or death situation. Your body needs variety and it will also keep things interesting! My favorite place to order supps from is http://www.puritan.com/ and the Vitamin Shoppe. Puritan’s pride always has sales! So I did it! I am officially a NASM (National Academy of Sports Medicine) certified personal trainer. On Monday, I took the exam that I had been studying for, for the last 2.5 months. Now what does this all mean. It gives me more credibility to be able to write this blog. I use what I have learned in the past in my weight loss and competition experiences to share with others. Now I have more of a science based knowledge to understand the systems of the body and training theory. My goal is to continue to help others reach their weight loss and health goals. I am currently enrolled in a nutrition class so that is going to add to my knowledge base. Always learning! On Friday morning, I did not have time to fix my usual breakfast of egg whites and oatmeal. On my way to work I stopped at McDonald’s. I heard previously, that they were going to come out with an egg white sandwich. So, I decided this would be a healthy option. Well….healthier…as healthy as you can get from a fast-food place. I must say that I actually enjoyed it. It was just enough to fill me up but not have me feeling stuffed and groggy. It was a nice combination of protein and carbs. (I also got orange juice which is rare for me but I splurged a bit). Anyway, if you are out, don’t have time, or are on vacation with your family, this would be a decent option for breakfast. Also, if you haven’t noticed, McDonald’s lists the calories and macronutient content of all of their foods on the drive through menu and the wrappers of the foods. I think that is neat! 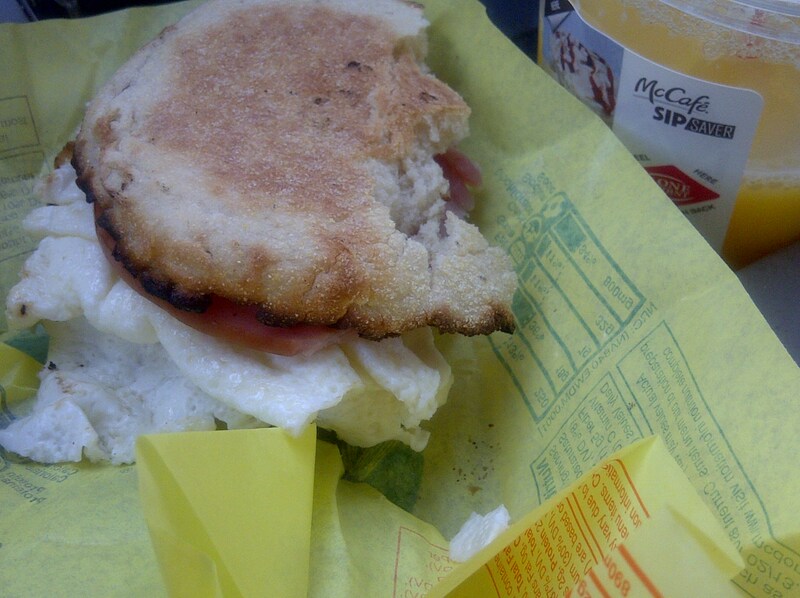 Here is the breakdown for the egg white mcmuffin with canadian bacon. You can make it 180 calories by eliminating the cheese sauce and canadian bacon.